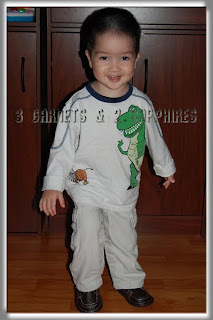 Sometimes walking isn't so fun for little ones, but these squeaky shoes from WeeSqueak sure do put some spring in the steps of my nearly 3yr old twins. My son received a handsome pair of Brown Combo boys shoes and my daughter received an adorable pair of Black Maryjane Ribbon Tie girls shoes. These shoes certainly make the daily walk to the school bus stop to meet their big brother much more fun. We even put my daughter's shoes under her clown costume for Halloween this year so she could have squeaky clown shoes. Even though we could not see the WeeSqueak shoes, they took her costume from being just cute to utterly adorable. 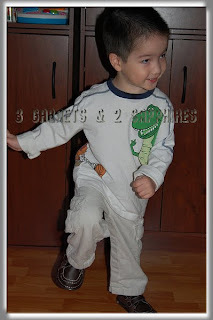 2) The cushioned footbed and the contoured non-slip soles made these perfect shoes to help my toddlers walk (and sometimes run) with confidence. 3) A side benefit to these squeaky shoes is that they make it much easier to keep track of your child if you are in a crowded place, such as the mall. 4) I love how both these styles of shoes allow my children some independence because they are easy to put on and take off. The Black Maryjane Ribbon Ties actually have a wide elastic across the top of the foot underneath the bow. The bows do come undone once in awhile, but you have the option to double-knot them. The Boy's Leather Brown Combo has two easy-to-manage Velcro straps across the top. 5) The black maryjanes really worked out well for us. 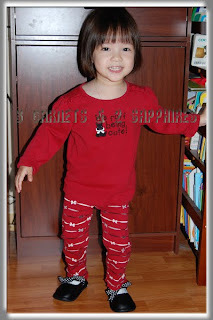 These versatile shoes match most of the colors and styles in my daughter's wardrobe, including her holiday reds. 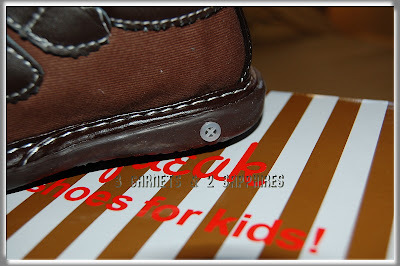 6) My son's brown leather shoes work well with jeans or khakis. I love having one pair of shoes that can be used for both casual and dressy occasions. 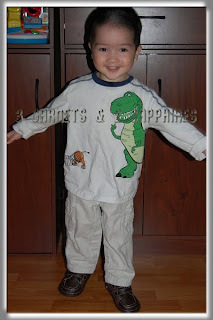 7) As always, you should measure your child's foot and refer to the sizing chart before ordering shoes online. I think that these shoes may run a little small, so you may want to go up one size when ordering. WeeSqueak shoes are available for purchase online at WeSqueak.net plus many other online children's boutiques. You can also find them at over 700 stores worldwide. Use the WeeSqueak store locator to find a retailer near you. To keep up with their newest styles and promotions, you can find WeeSqueak on Facebook or sign up for the WeeSqueak Newsletter. Thank you to WeeSqueak for providing us with both review products and a contest prize free of charge. One lucky reader will receive their choice of one pair of in-stock WeeSqueak shoes. Browse through the selection of baby, girls, and boys shoes offered by WeeSqueak. 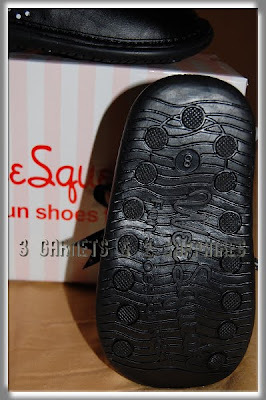 Then leave a comment telling me which pair of WeeSqueak shoes you would choose if you won this contest. You MUST do this to be eligible to win this contest. 3) For 10 extra entries, blog about this contest linking back to this post AND WeSqueak.net . Then come back here and leave TEN separate comments with the link to your blog post. 9) Add my button or blog link to your blog's sidebar. Then leave a separate comment with the link to your blog. This contest will be closed on Thursday, November 26th, 2009 at 11:59pm EST. A random number drawing will be held shortly after. The winner will be announced here and will be contact via email or through their blog. If the winner does not respond within 48 hours, a new number will be drawn.